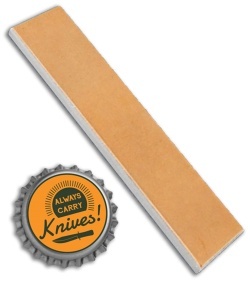 The KME Sharpeners Kangaroo Leather Strop can be used as a final finishing tool and, with the addition of CBN abrasives, will create beautifully polished edges. Each strop is made from premium Kangaroo leather permanently mounted on a flat aluminum plate with beveled edges. 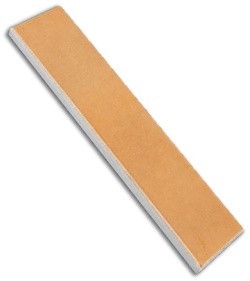 Note: Separate strops will be needed for each CBN grit used. Browse other must-have products and accessories from KME Sharpeners.